Find cheap food in Chinatown, including lunch deals, dim sum, bubble tea, pastries and affordable snacks, at these restaurants. 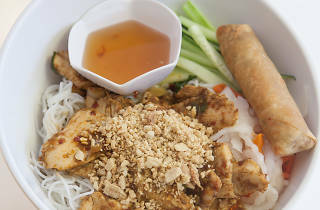 Photo: Erica Gannett Joy Yee's Noodles is one of our favorite spots for cheap eats in Chinatown. 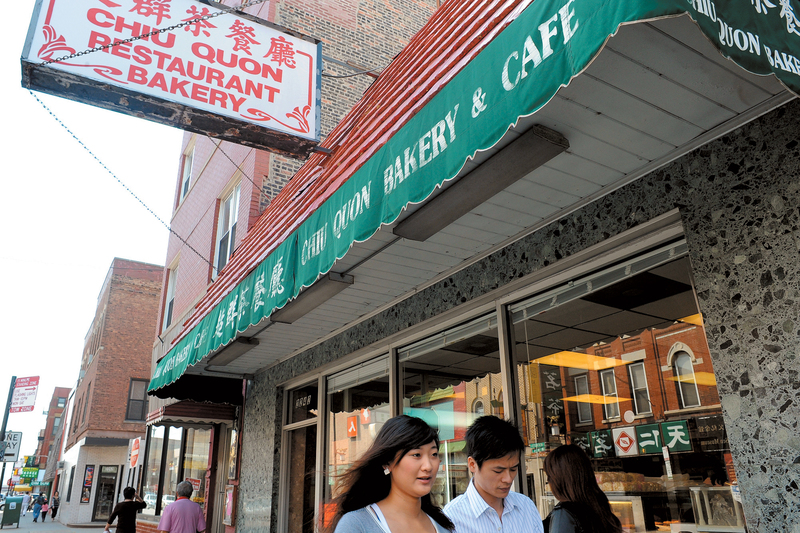 With so many BYOB restaurants and family-style meals, Chinatown is an easy place to find cheap eats. 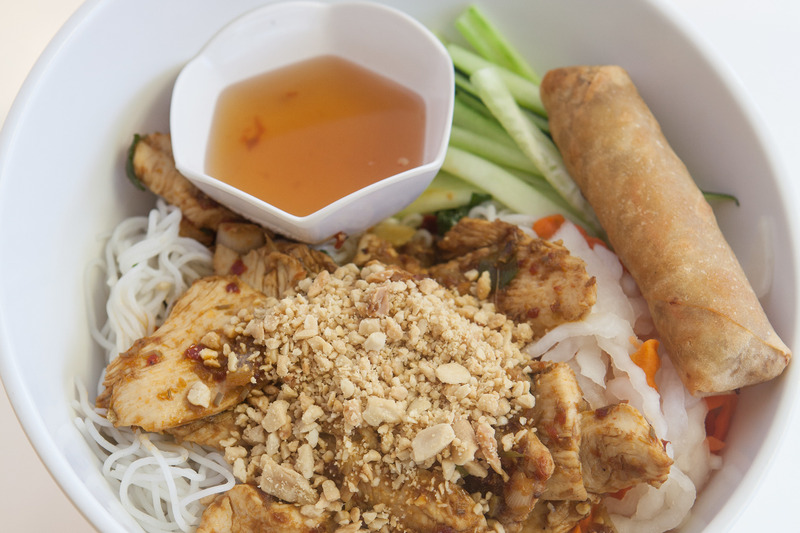 You can find Chinese food for two for less than $20, snacks for $2 and lunch deals where you'll leave with enough leftovers for dinner. 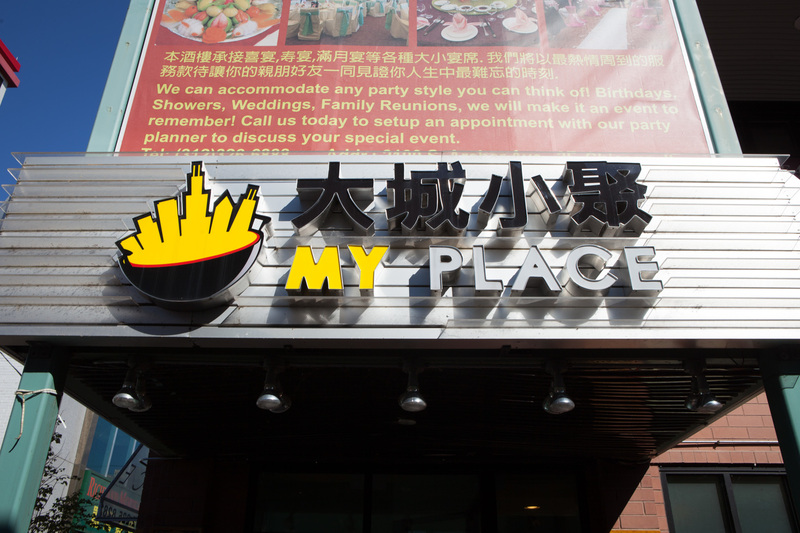 Here's where to go when you want to do Chinatown on the cheap. Dim sum fans are accustomed to cart service and ordering cards, but the majority of the small dishes traditionally served originated in tea houses and bakeries in southern China. 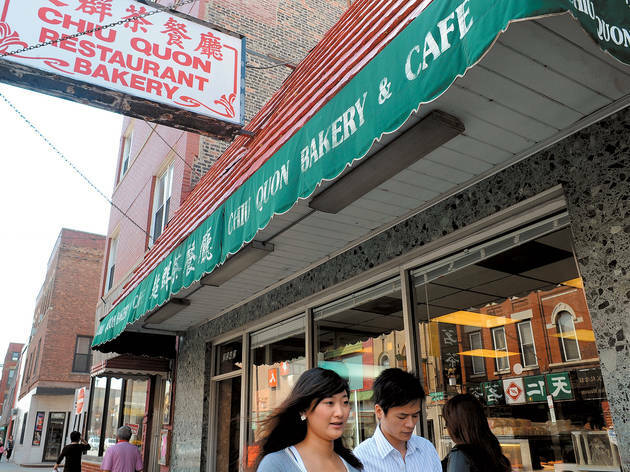 Chinese bakery Chi Quon has been making these delectable items for more than 25 years, attracting locals and visitors from around the city with dishes like fresh BBQ pork buns, sesame balls filled with bean paste and shrimp dumplings. Pop in for a snack or make a meal out of the various baked goods on display. 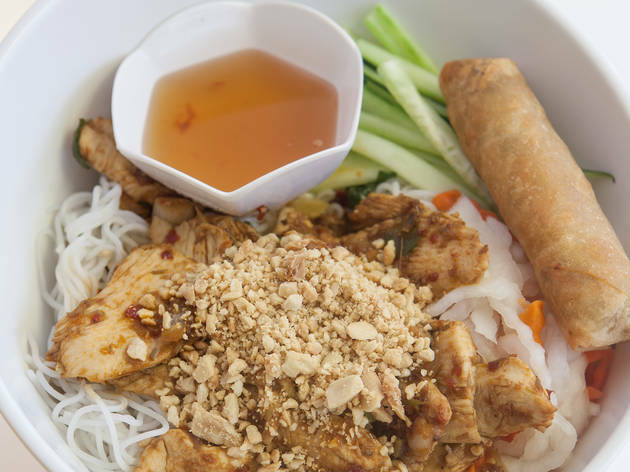 The Joy Yee mini empire took root in Evanston back in 1993 and continues to pack in everyone from students to local office stiffs who loosen up with platter-size portions of pan-Asian food. We stop in for mussels with black-bean sauce, garlicky chicken with string beans and gargantuan bowls of udon-noodle soup. And it wouldn’t seem right to leave without a pastel-colored bubble tea from the spot that claims to have introduced it to Chicagoland. 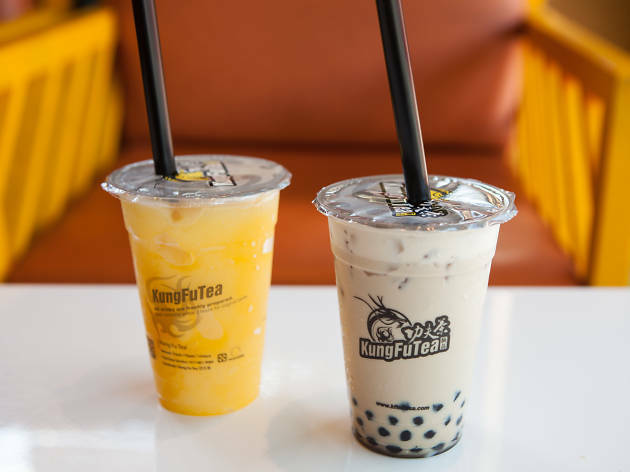 Kung Fu Tea, based in New York and with locations in Asia, recently opened in Chinatown, where you can find all manner of tea drinks. You can customize them based on desired sugar and ice levels, and add in tapioca pearls, herbal jelly and other accents. 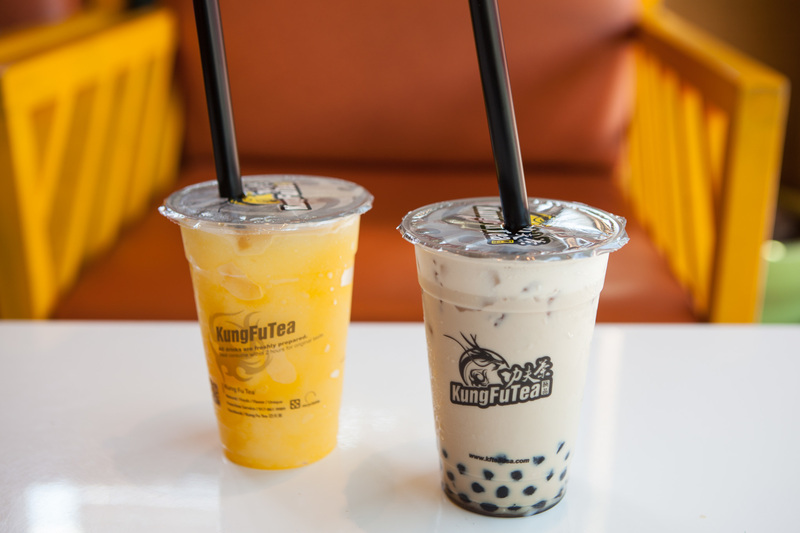 The passionfruit slushie is bright and refreshing, while the coffee milk tea is an afternoon pick-me-up. There are also board games, which encourages lingering. 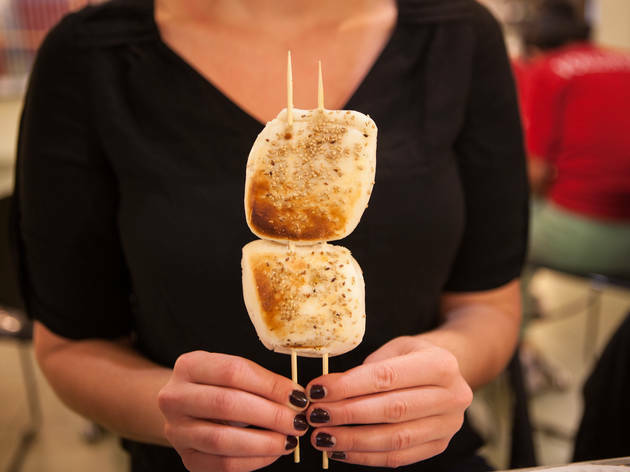 Located in the tiny Christmas lights-bedecked food court at the Richland Center, you'll find Lao Pi BBQ, which sells grilled meat, seafood and vegetables on skewers for a couple bucks each. 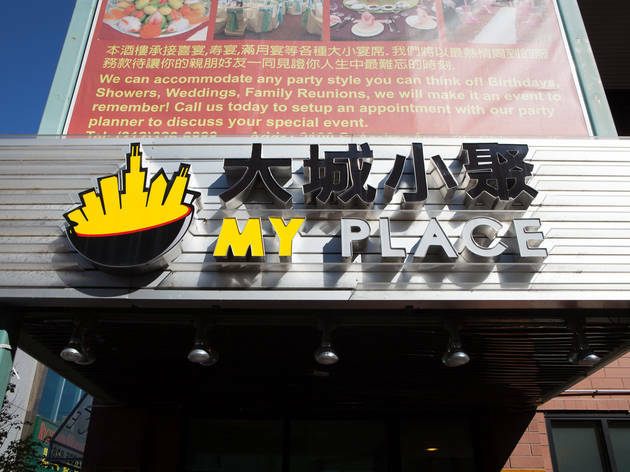 The menu has recently been translated, so go nuts and order chicken wings, beef ribs, fish cakes, lamb, shrimp and garlic coated with sriracha, among other options. 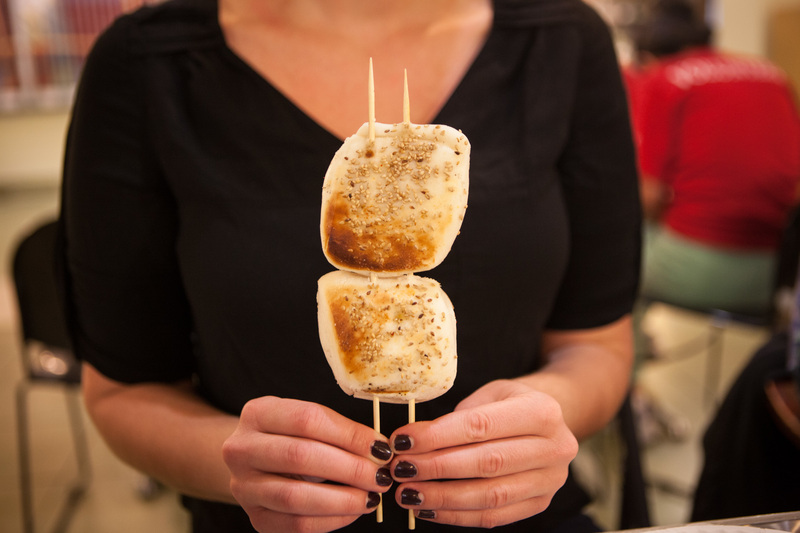 Each skewer is perfectly seasoned, and our favorites are the beef ribs, with a thin tender piece of meat that melts in your mouth and garlic bread-like buns sprinkled with sesame seeds and garlic. This bright, modern spot is justly celebrated for its egg tarts, which encase a pale, mildly-sweet custard in a rich, crumbly shortbread crust. Don’t stop there. 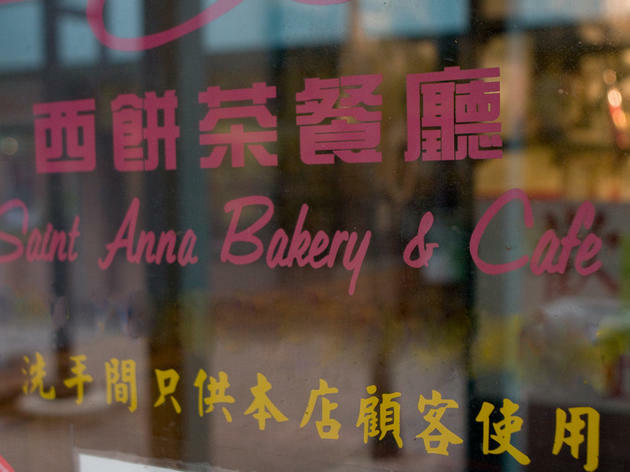 Saint Anna also cranks out dynamite jin deu, or sesame balls, hollow, deep-fried orbs of sesame-coated glutinous rice with dollops of red bean paste at their centers. 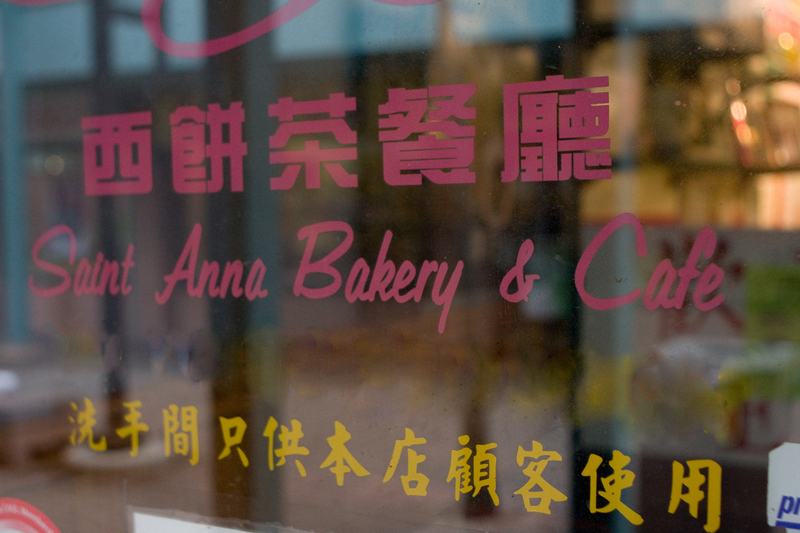 Perhaps our favorite, though, is the bakery’s pineapple custard bun, which doesn’t actually contain its namesake fruit. (The term refers to the bun’s exterior.) Instead, this tender, eggy bun hugs a custard filling that’s indulgently thick and sweet.